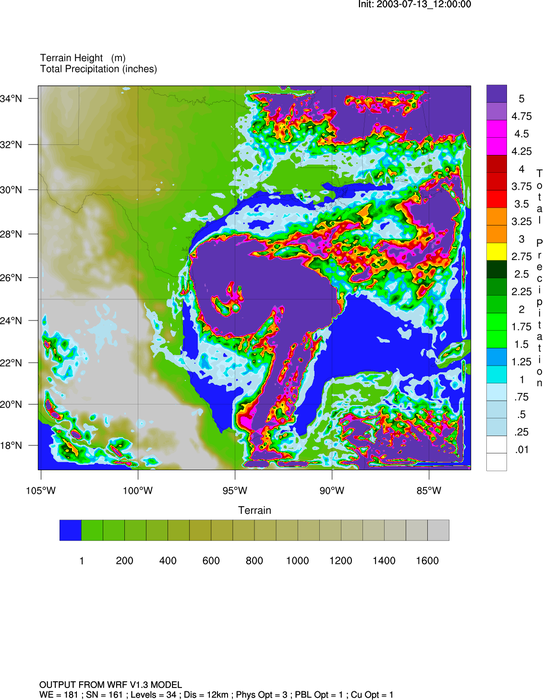 This page describes how to use NCL to read and plot data and diagnostics calculated from WRF-ARW files. addfile - this function opens a WRF-ARW NetCDF file so you can read data or calculate diagnostics. If you have more than one WRF-ARW file, use addfiles. wrf_user_getvar - given the file(s) you opened in the first step, this function allows you to specify what diagnostic you want to calculate or what variable you want to read. 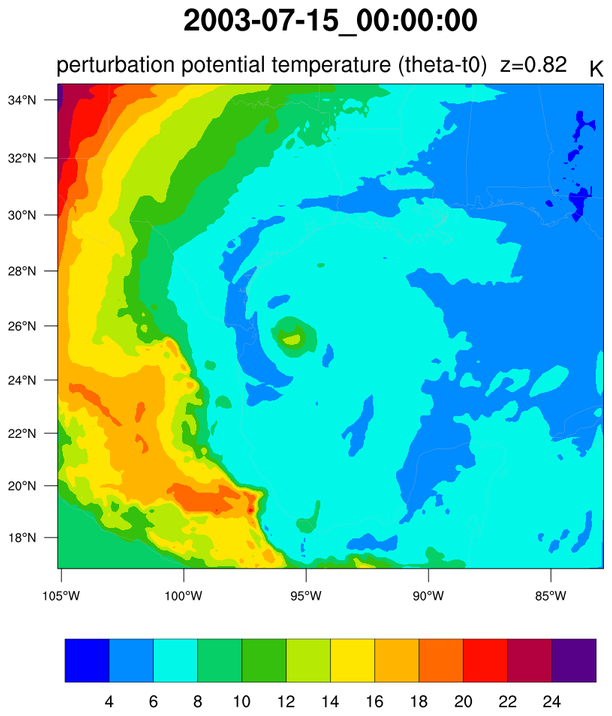 The folks who help develop the WRF model have created their own tutorial for plotting data using the the WRF-specific plotting functions. 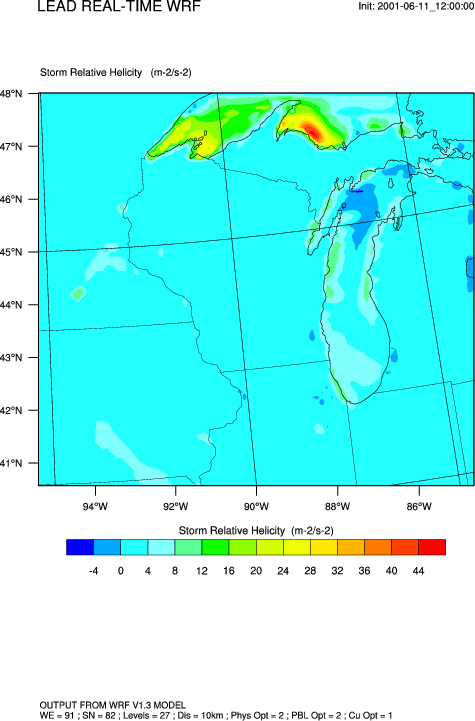 See the the WRF ARW OnLine Tutorial web page. The example pages linked to from this page mainly show how to plot data using gsn_csm functions, although in some cases the WRF-specific routines are also used for comparison purposes. As an example, see the "wrf_gsn_1.ncl" and "wrf_nogsn_1.ncl" scripts on the WRF gsn_csm examples page. wrf-python - A Python package that extends the functionality of wrf_user_getvar. WRF-VAPOR - An interactive tool for creating 3D visualizations of WRF data. 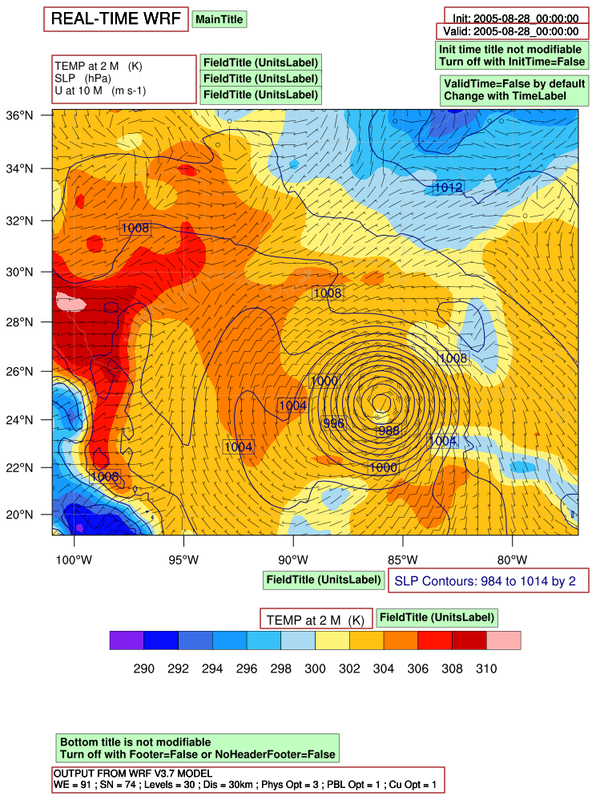 Mark Seefeldt [U. Colorado: Cooperative Institute for Research in Environmental Sciences (CIRES)] has created an NCL based script, wrfout_to_cf that creates new Climate-and-Forecast (CF) based NetCDF files from native wrfout NetCDF files. The script is well-documented and is easy to configure and run. WRF-ARW netCDF files are different from netCDF files produced by the component models of the Community Earth System Model (CESM). 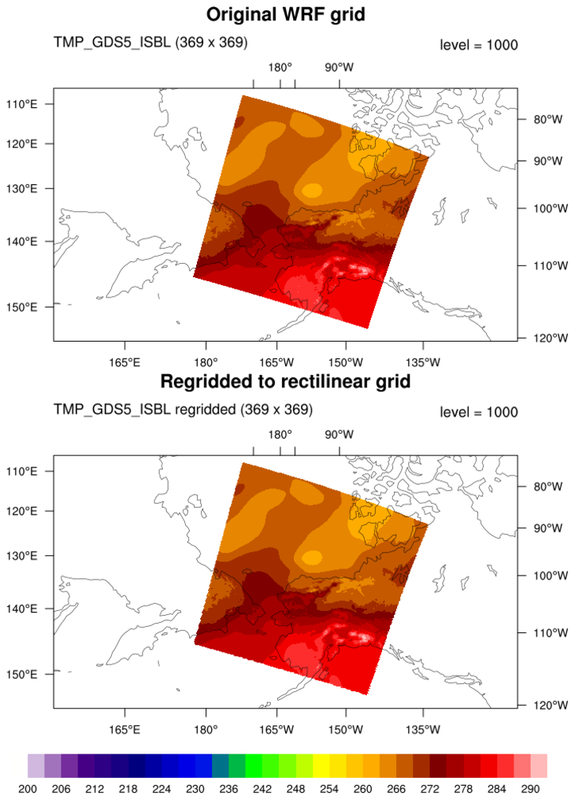 For example, the CESM grids do not change with time, while the WRF model(s) allow for this possibility by making the latitude and longitude arrays a function of time. NCL can readily read and process WRF netCDF files. However, some software processing tools may require data files to be Climate and Forecast (CF) convention conformant. WRF-related questions should be addressed on the WRF Support Form. NCL-related questions should be sent to ncl-talk. Note about WRF-NMM data: WRF-NMM can be plotted with NCL after you used the WPP code to convert to grib format. The wrf_xxx computational functions in theory can be used for any model - although they have not been tested. 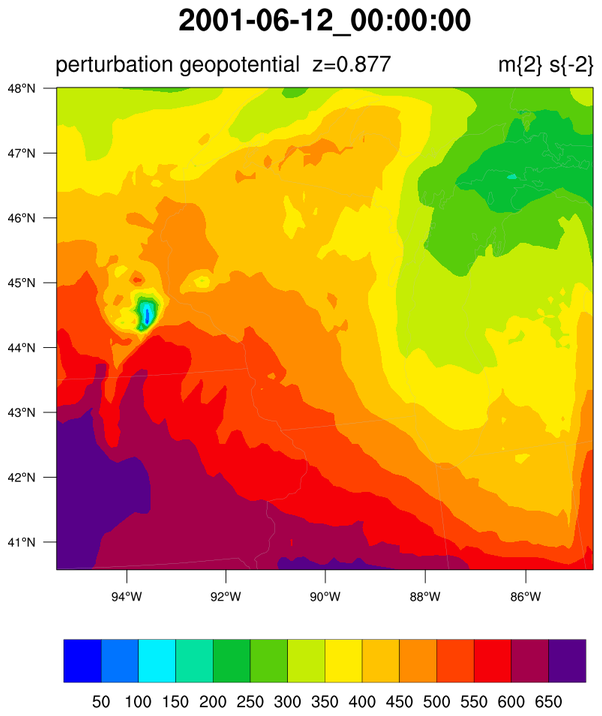 The problem is that all the wrf_xxx plotting scripts have been written exclusively for WRF-ARW, and that is because the scripts handle the projection change from C to A, and also the map information. 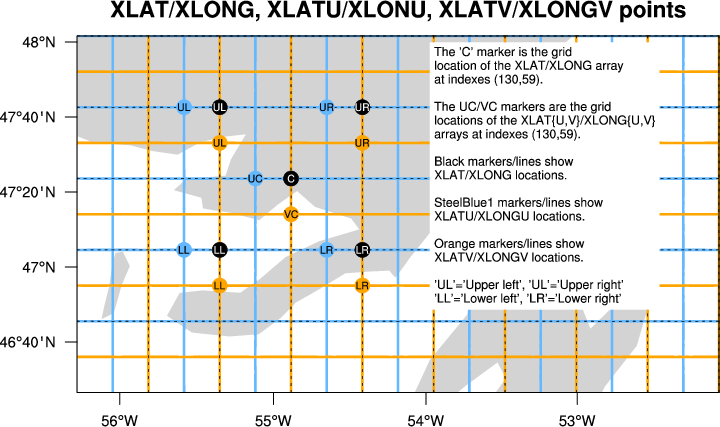 Since WRF-NMM is on a rotated E grid, the map information is very complicated to deal with. 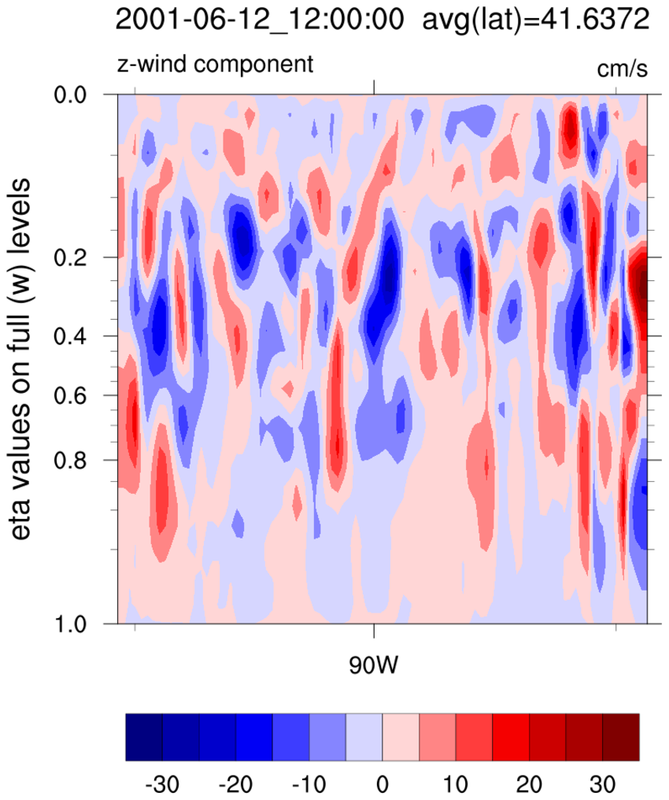 Plotting WRF with gsn_csm: This page shows examples of using gsn_csm scripts to plot WRF-ARW data. Many of the examples also include a WRF-specific plotting version of the script so you can compare the two methods. 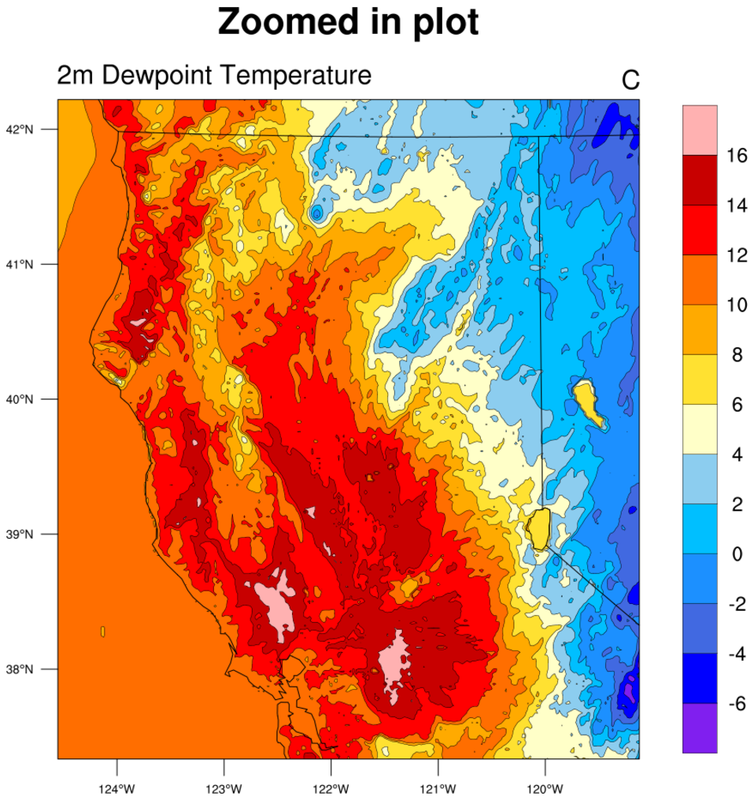 Zooming: This page shows how to zoom in on WRF data plotted over maps. Regridding: This page shows how to regrid data from one grid or mesh, to another grid or mesh. This page is not limited to just WRF data. Interpolations and cross-sections: This page shows how to do interpolations and cross-sections of WRF-ARW 2D and 3D fields using lines and planes as slices. Titles: This page shows how to customize the special titles that come with the suite of WRF plotting scripts. Debugging:: This page provides some graphical scripts to help you understand WRF grids and to debug problems you might run into. 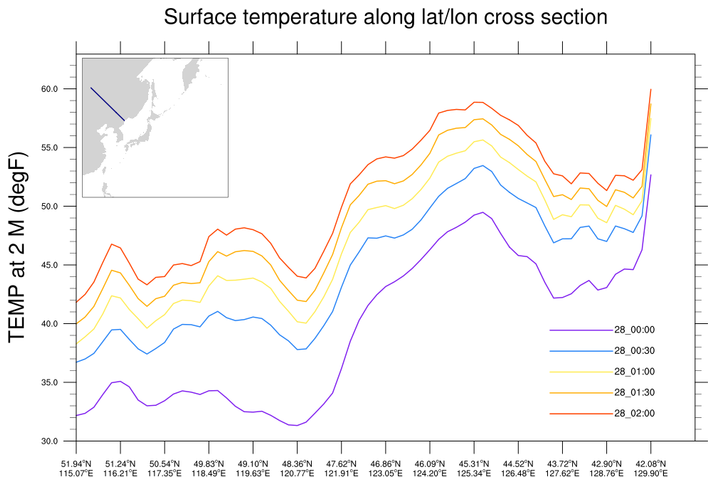 Precipitation: This page shows how to create precipitation contour plots. Helicity: This page shows how to create helicity plots. Contours: This page shows how to create basic contour plots of using gsn_csm_contour. XY: This page shows how to create basic XY plots using gsn_csm_xy. Lambert: This page shows how to plot WRF-ARW data that is on a native Lambert Conformal projection. Mercator: This page shows how to plot WRF-ARW data that is on a native Mercator projection. 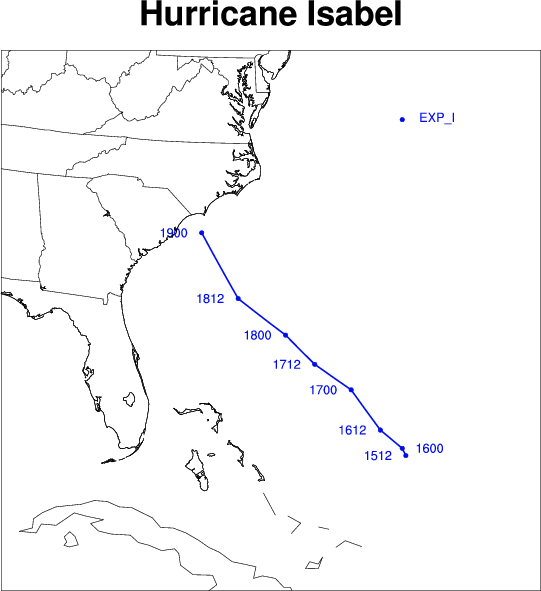 Storm tracks: This page shows how to plot storm tracks. 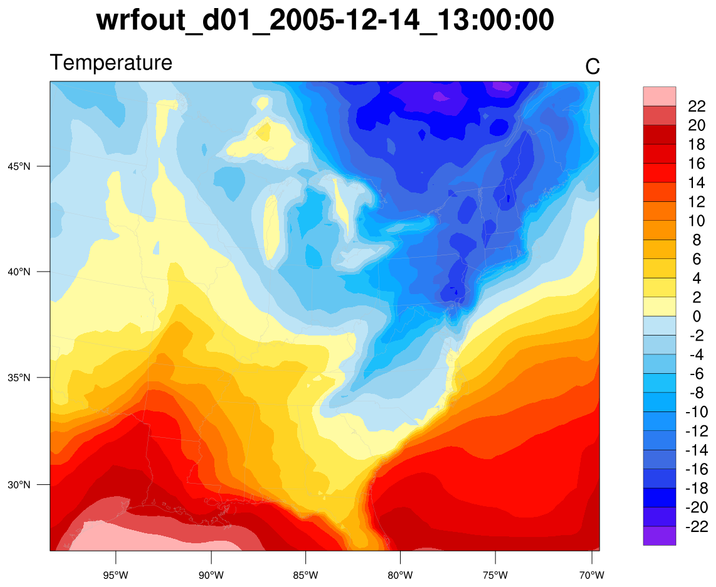 WRF-VAPOR (3D): This page shows how to use NCL and VAPOR to visualize WRF output in 3D data. See this short tutorial for more information.